From statewide gatherings in Sacramento to local neighborhood talks in Eagle Rock, First 5 LA leaders spent the month of August sharing their expertise and learning from others about key issues affecting young children and their families. In Sacramento, First 5 LA program development and policy and advocacy team members joined more than 500 attendees at the state's premier gathering of early childhood home visiting programs. The California Home Visiting Summit featured stellar keynotes, dignitaries and presenters, including California Health and Human Services Secretary Diana S. Dooley and Senator Hannah Beth Jackson (D-Santa Barbara). This year’s summit had a strong focus on policy and systems change. Topics included: Home Visiting as a Pillar of an Early Childhood Approach; Scaling and Sustaining Home Visiting Programs; Home Visiting in California – Policy Context, Opportunities, and Next Steps; and The Future of Home Visiting Within Early Childhood Systems: The Federal Perspective. 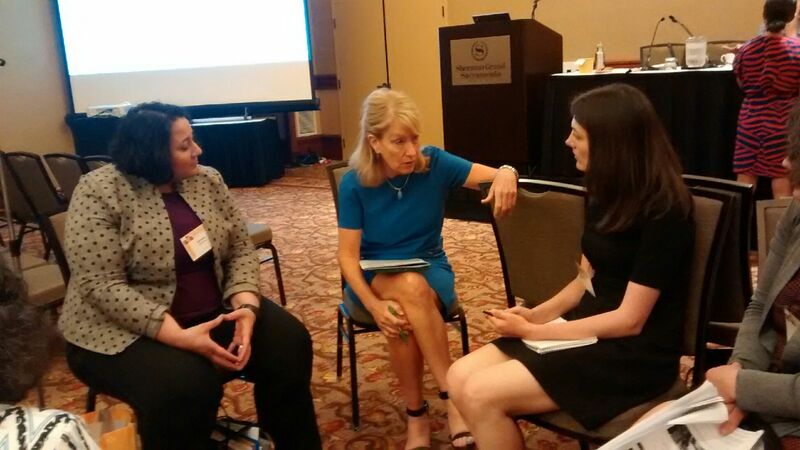 First 5 LA Director of Families Barbara Andrade DuBransky kicked off the agency’s leadership at the HV Summit by moderating a roundtable discussion on recruiting and retaining home visiting clients. As part of its Strategic Plan, First 5 LA has prioritized family strengthening strategies with home visiting as a centerpiece for the provision of parent engagement, education, and support. These strategies consist of the Welcome Baby and Select Home Visiting programs. Participants in DuBransky’s roundtable discussed the challenges of working with everyone from high schools to hospitals, county agencies to early Head Start to refer and retain home visiting clients and services. Some of the obstacles shared included competition between home visiting providers, furnishing incentives for participants and providing clarity about home visiting services. Solutions were shared, as well. Later, DuBransky joined three other panelists in a discussion on the role of health care in scaling and sustaining home visiting. The panel was moderated by First 5 LA Vice President of Programs Christina Altmayer, who began by discussing the significant investment in home visiting by First 5 commissions statewide and the ongoing challenge of sustainability. Fortunately, Altmayer said, the health care community is beginning to recognize benefits of home visiting. 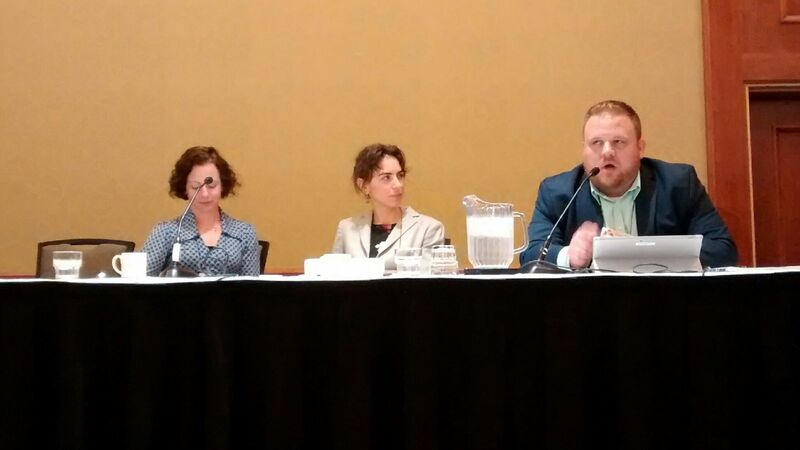 Panelists discussed the next steps to bring together health care and home visiting efforts across the state, as well as health care financing opportunities for program delivery. “What I’ve learned is that financing is vital. Whatever can help you to get the work moving ahead, use it,” said Mary Hansell, the Director of Maternal, Child and Adolescent Health at the San Francisco Department of Public Health, who pointed to Pay for Success, Medi-Cal, local and state funding sources. Ilia Rolon, Health Policy and Programs Director of the Children and Families Commission of Orange County, pointed out how CalOptima - a county organized health system that administers health insurance programs for low-income children and adults - was instrumental in the development of the Bridges Maternal Child Health Network, which provides public health nursing home visitation services in Orange County. Robert (Bo) Riewerts, the Regional Chief of Pediatrics for the Southern California Permanente Medical Group, said that pediatricians have an average of 15 minutes to see patients. Being aware of and connected to home visiting resources could help pediatricians help pregnant women or new mothers struggling with issues like lack of food or homelessness that can impact their – and their child’s – health. A growing pool of research reveals why home visiting provides positive outcomes in child and maternal health. Finally, at the panel on Home Visiting in California: Policy Context, Opportunities and Next Steps, First 5 LA Director of Policy and Intergovernmental Affairs Peter Barth joined a discussion on emerging considerations and opportunities to shape policy to enhance home visiting in California. Other panelists included Lisa Murawski, Principal Consultant for the California State Assembly Committee on Appropriations and Angela M. Rothermel, Senior Associate Early Childhood Policy for Children Now. And while federal dollars from MIECHV is funding home visiting sites in 40 counties statewide, no funding for home visiting programs is coming from the state itself. This compares to 37 other states that are appropriating state funds to support home visiting programs. Among the challenges to acquiring state funding, the panelists said, were the broadness of HV outcomes, the legislature’s reluctance to make upfront investments without comprehensive data to prove a return on investment, the expense of statewide home visiting funding and lack of knowledge about home visiting among lawmakers. “Some home visiting programs have positive impacts 18 years after services are delivered, but government budgets are made every year,” Barth said. While a bill to plan for home visiting expansion (Assembly Bill 50) came a governor’s veto away from adoption last year due to the potential impact on the Medi-Cal budget, the interest behind the bill in the legislature was a hopeful sign. Additionally, Murawski said home visiting advocates are hopeful in working on home visiting with the administration. To encourage future home visiting funding, Barth told those in the audience – mostly home visiting providers and advocates – to seek out and partner with other local advocates of home visiting and acquire the data needed to demonstrate program impact and convince lawmakers that home visiting is a priority investment. In another event, First 5 LA Vice President of Policy and Strategy Kim Pattillo Brownson participated in a roundtable on August 27 in Eagle Rock with Assemblymember Jimmy Gomez (D-Los Angeles) to engage with community in a conversation about the needs of parents with newborns and young children. Parents were encouraged to engage with the variety of health systems available to them in their own neighborhoods. Various government and nonprofit programs were discussed, including those providing resources on nutrition, child care, early childhood developmental milestones and breastfeeding. Much of the discussion centered on California’s recently approved Paid Family Leave Expansion, AB 908, legislation authored by Gomez which will increase the wage replacement rate for workers on Family Leave, with higher percentages for the workers earning the least. Paid Family Leave provides eligible workers with partial wage replacement for up to six weeks in a 12 month period to bond with a new child or care for an ill family member, including a child, parent, parent-in-law, grandparent, grandchild, sibling, spouse, or registered domestic partner. It provides coverage to employees who are covered by State Disability Insurance (SDI). The bill expansion increases wage replacement payments starting on January 1, 2018 from 55 to 70 percent for those making minimum wage and 60 percent for almost all other workers.